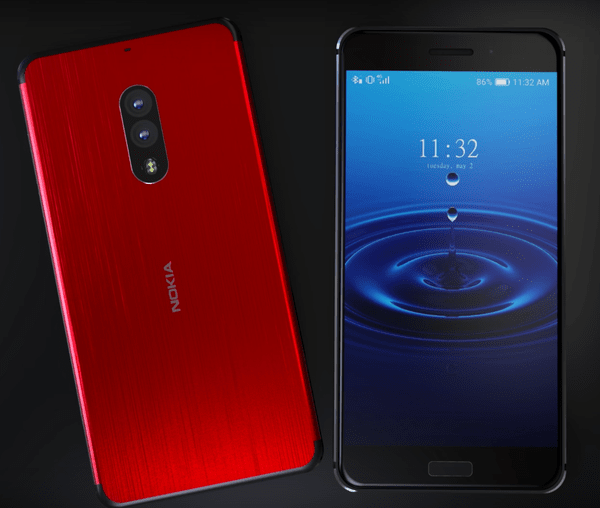 The flagship smartphone of Nokia, the Nokia 9, parented by HMD Global is just one step away from breaking into its launch event. After giving birth to the successful trio named Nokia 6, Nokia 5 and Nokia 3, the company has buckled up to announce the power mobile in the month of July. Several leaks and third party announcements suggest that the phone will be out in the market in quarter three of 2017. The end of the year launch might be proven beneficial for the company, as they agree to make it global. Having the Finnish gene and technology inside, the phone will be powered by an octa-core Snapdragon 835 coupled with a 6GB RAM and Adreno 540 GPU. Being trendy and new, the phone will feature a 5.5" QHD display (1440 x 2560 pixels resolution) over the framework of an OLED panel. Storage wise, it is speculated to come in 64GB and 128 GB internal memory variants with no specific information on its external microSD card support. Running on Android 7.1 Nougat, the phone will feature a 22MP+22 MP dual lens rear camera that comes in with a 12 MP selfie snapper. Also, the phone houses a non-removable Li-Ion 3800 mAh battery to keep the phone going for a long time without a premature recharging. Connectivity wise, it is supposed to bear 4G VolTE, v4.0 Bluetooth and v3.1 USB with Type-C reversible connector. Once out in the market, it will give a tight competition to the Samsung Galaxy S8, LG G6, HTC U Ultra. Although it is a quick prediction, but many of the sites confirm that the Nokia 9 will bear a price tag of Rs. 44,999 in India, $699 in the US and 749 Euro in the Europe. Before we get a validation, let us cross our fingers and hope the best for the upcoming technology. Watch Nokia 9 leaks and let us know what do you think about it?